Holiday Crafts contains holiday crafts of all mediums and for all skill levels. 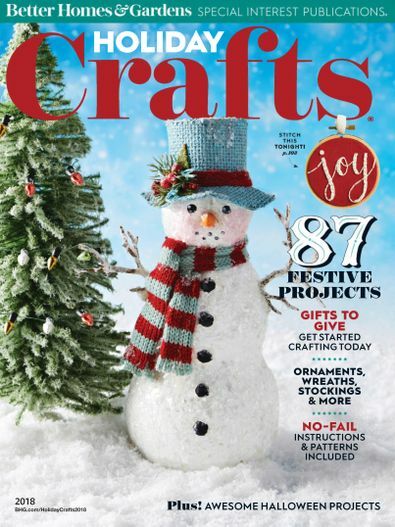 A balance of autumn, Halloween, and Christmas projects, it’s a must-have for every crafter!The digital issue includes the pattern pieces found in the corresponding print version. To access pattern pieces, simply click on the underlined text in each project. Be the first person to tell us what you think about Holiday Crafts and you'll save $5 on your next purchase!